Children suffering from life-threatening illnesses and disabilities were transformed into their inner superheroes thanks to a photographer who volunteered his talents. 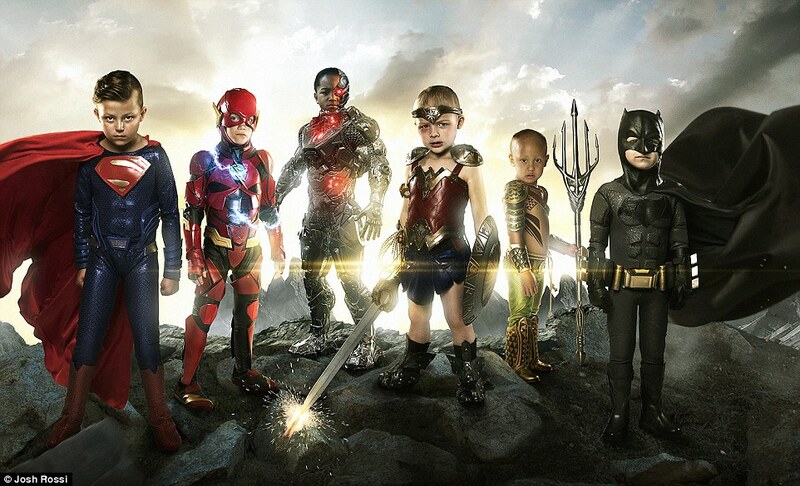 Josh Rossi, 32, captured incredible photographs of six brave kids aged two to nine transforming them into the Justice League characters with the help of costumes and special effects. Wonder Woman, The Flash and Superman are among the characters portrayed by the children suffering from different forms of cancer, half a heart, a double amputation and severe autism.